With its haunting melodies, endearing characters and poignant, historic story, Fiddler on the Roof is one of the greatest musicals of all time. Joseph Stein, Jerry Bock and Sheldon Harnick crafted a musical so beautiful, so compelling, that — from Broadway theater to high-school auditorium — it’s a tough show to screw up. As with any production of this engaging show, Marriott Theatre’s "Fiddler" offers much to enjoy, but it’s a long way from a great version. The story of Tevye, a Jewish dairyman, and his family and friends in the Russian shtetl Anatevka, ca. 1905, is a multi-layered tale both personal and sweeping. In its conflicts between progress and tradition, between generations, between duty and desire and between different faiths and cultures, "Fiddler on the Roof" offers many universal truths. Tevye is a father coming to grips with his children’s coming of age. Anatevka stands for a lost way of life, as exotic and vanished a culture as Brigadoon. 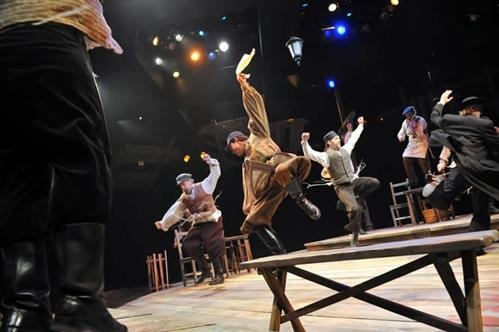 Yet despite the looming presence of the disruptive outsiders, Anatevka represents not just any lost society, but a Jewish homeland, a tight community whose people spoke their own Jewish tongue (Yiddish, the language in which Sholom Aleichem wrote the original stories that inspired this musical) and where they brought up their children according to age-old Jewish customs. Tevye, above anything else, is a deeply religious Jew. Further, his people’s traditions were not just left behind by the passing of time, they were murderously stolen by bitter bigotry. 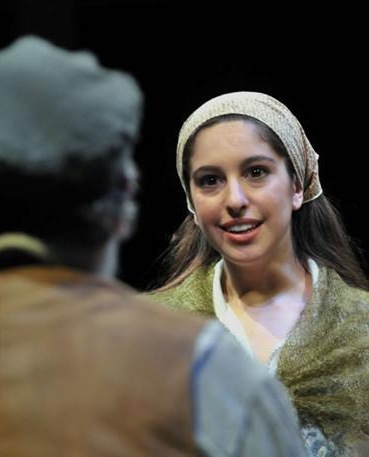 Fiddler on the Roof, first and foremost, is a Jewish story. Director David H. Bell, in his perception of Tevye as a bland "Everyman," seems to have missed that point. You’ll rarely hear any Yiddish or Hebraic accent in his version of "Fiddler." 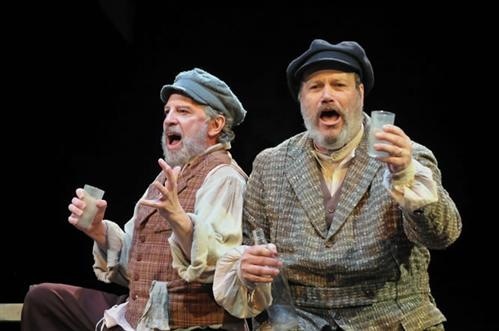 When the script or score compels it, as in the "bidi-bidi-bums" of the klezmer-style song, "If I Were a Rich Man," Ross Lehman, as Tevye, seems ill at ease, almost swallowing the syllables. James Harms, meanwhile, plays the village rabbi like an Irish priest, complete with rolled R’s. The whole rhythm of the show seems off, in part because it lacks the cantorial cadence normally imbuing the lead. 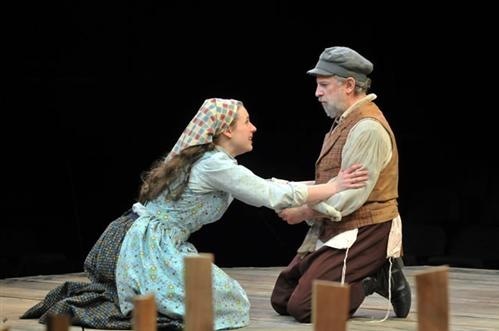 Lehman may be the least patriarchal Tevye ever — not discounting those high-school productions. 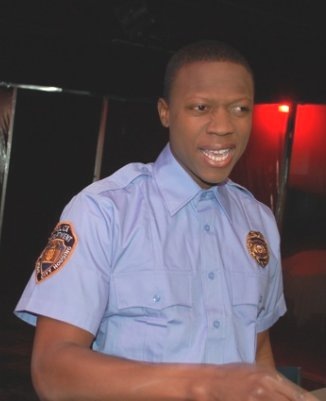 It’s not that he’s a tenor in a role typically cast for a baritone and a physically smaller man than the actors famous for this part; it’s mostly his tone. 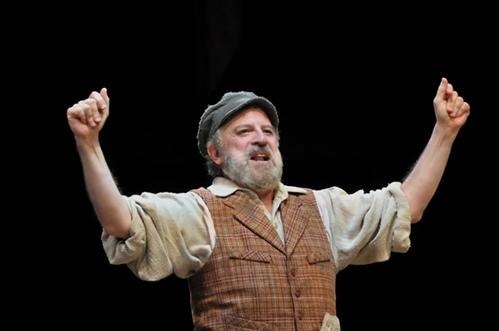 Tevye, a devout and spiritual man, expresses his deep, personal relationship with God and with his family conversationally and often sardonically throughout the play, but he isn’t snide. Lehman’s Tevye is snarky where he ought to be good-humoredly ironic, arch when he should be aggravated. His performance evokes Paul Lynde or Edna Turnblad (his most recent role at Marriott, a brilliant turn) more than Zero Mostel or Topol. 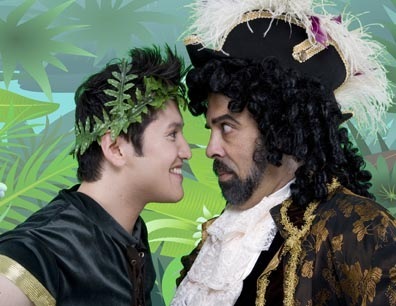 Beyond casting flaws, Bell’s direction and choreography frequently disappoint. 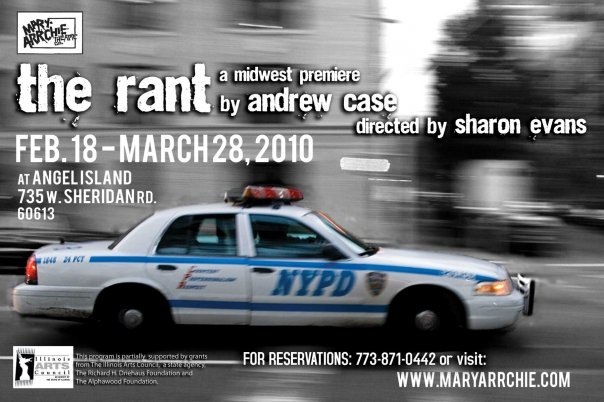 Although he’s no newcomer to Marriott’s theater-in-the-round stage, this show seems to have challenged his ingenuity. From my seat in Section 4, far too many scenes had me looking at actors’ backs. Faces were often obscured by vertical posts or the back of another player’s head. 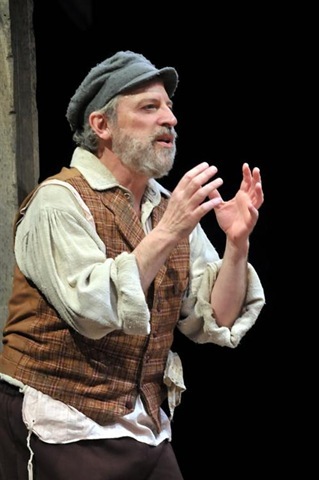 This particularly marred the scenes where Tevye and the butcher Lazar Wolf (an oddly low key David Girolmo) talk at cross purposes and in which Tevye recounts his nightmare to his wife, Golde. Bell redeems these scenes somewhat by well-executed dance numbers, but there, too, I often seemed to be viewing them edge on. 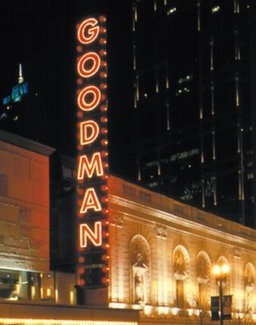 Marriott Theatre typically stages musicals with large casts beautifully, yet the "Fiddler" stage often seemed cramped and overcrowded, particularly in ensemble numbers such as the "Sabbath Prayer" sequence. Thomas M. Ryan’s set is lightly furnished (except for those unfortunate posts) and he’s used hanging lanterns and other tricks to expand the stage beyond its physical space, so that fault can’t be laid at his feet. The ensemble as a whole perform very well, and nothing can rob the power from "To Life" or "Sunrise, Sunset." Andrew Keltz, as Motel, does a sweet version of "Miracle of Miracles," but there are no strong individual voices. 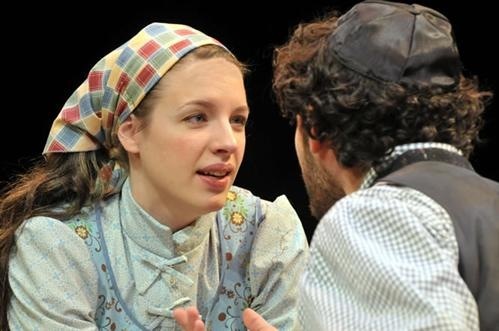 Again, beyond Nancy Missimi’s traditional costumes, the characters, even in otherwise excellent performances such as Jessie Mueller’s anguished Tzeitel, Rebecca Finnegan’s brisk Yente and Paula Scrofano’s forthright Golde, rarely convey any sense of Jewish or Old World identity. The residents of Bell’s Anatevka don’t need to go to America at the end of the play. They’re already there.